At Chitkara University, Summer Courses are committed to giving students the best academic experiences to support and advance their understanding and skills, within their respective field of study. Keeping this in mind, 13 students from Chitkara University visited Surabaya & Bali in Indonesia for a Summer Program on Social Entrepreneurship. The program, ‘Summer in Surabaya and Bali, Empowerment through Sociopreneurship’ was jointly hosted by leading Indonesian Universities, including Airlangaa University, Petra Christian University, Udayana University, in an effort to bring social awareness among today’s youth. Using community development and business principles while emphasising social impact over profit, participants were asked to develop theories and come up with ideas at Surabaya in the first phase (1st week) of the program. Next, during the implementation phase, which was at Bali (2nd week) they were allowed to innovate and test solutions to some of the community’s most difficult problems such as improving educational attainment, and boosting young people’s employment prospects, etc. Outside the workshops and field visits, cultural immersion experiences woven throughout the program gave students a deep understanding of the roles of creativity, innovation, and community in Balinese society. Also, they learnt how successfully harnessing these strengths has led to the success of local social entrepreneurs. 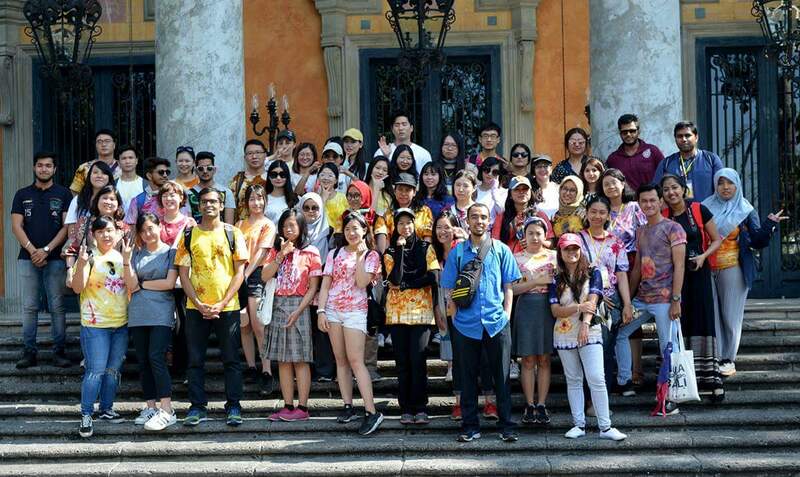 Students also enjoyed the rich cultural heritage of Indonesia and visited some world-famous beaches and heritage sites as part of the excursion activities arranged during the program.